The Bible is one big Story of redemption, restoration and renewal through Christ Jesus. Yet regrettably, the Bible isn’t always read, heard, shared, taught or engaged as one big Story. Many people limit the Bible to being lessons in good behaviour, an arrangement of doctrines, a source book for wisdom, words or succour, interesting literature, something to be studied, or a guide for decision making. The one big Story is full of stories. Seventy-five percent of the Bible is narrative and the remaining twenty-five percent is composed of poetic or didactic material. The narrative composition of the Bible should direct our engagement. Rather than majoring on the directives of the Bible, as many do, we should engage with the Bible in ways that ignite our hearts and minds to the one big Story. That is, we should chiefly interact with the Bible as the Story of God’s love for us; how Christ Jesus came to rescue us from sin and give us fullness of life. Engaging with the Bible as one big Story about Christ Jesus and His love for us shouldn’t be one approach among many. It should be the only approach. Why? Because from the beginning to the end of the Bible, according to the Bible, Christ Jesus is the focus of the Story (cf. Luke 24:27). That’s not to say that He’s mentioned directly in every sub-story. He’s not. In many instances He’s “hidden.” But it is to say that all the stories, taken together, are one big Story about Christ Jesus and how He wants us to enter into and become a part of His Story. So what is the storyline of the big Story that Christ Jesus wants us to enter into and become a part of? 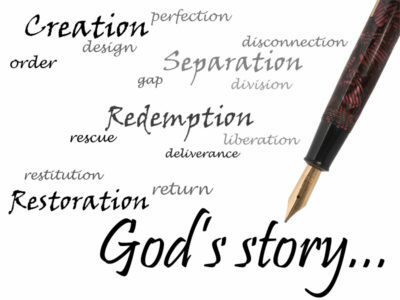 The Story begins with our creation and shortly thereafter our separation from God because of sin. What follows concerns God’s grace as He seeks to restore humanity to Himself. It’s the Story of brokenness and how we can be whole through faith in Christ Jesus. At the heart of the Story is the incarnation and life of Christ Jesus. The Story reaches its climax when a great reversal occurs. Amazingly, humanity is given the opportunity to be reconciled to God through the sacrificial death and miraculous resurrection of Christ Jesus. The Story is good news second to none! It’s about the greatest rescue plan in history – about God in the person of Christ Jesus who enters our world to save – about the Redeemer who ultimately makes everything right. And more. What makes it good news is that it’s a living Story concerning you and me. In Christ, all things are made new (cf. 2 Corinthians 5:17). The Story reveals how, through confession, repentance and belief in Christ Jesus, we can know salvation from the penalty of sin, fullness of life now, and the hope of eternal life to come. The grand ending of the one big Story depicts creation renewed. The ending is really a fresh beginning; a magnificent turn-around. Everything will be new – a new heaven and a new earth in which there is no more pain, sorrow or death. And Christ Jesus will live with His people forever. While the one big Story has a beginning and an end, it’s also a never ending Story. The paradox of the Story is that as we enter into it we discover that we’re living in the tension between the already and the not yet. That’s why we pray, “Your kingdom come, your will be done, on earth as it is in heaven” Matthew 6:10 (NIV). And as we pray this prayer we’re reminded that we owe allegiance, not to ourselves, but to the King. The purpose of our lives is to do what the King wants us to do: “To act justly and to love mercy and to walk humbly with your God” Micah 6:8 (NIV). This is our kingdom work until the new heaven and the new earth are realized. Unlike the story of those in the world without Christ Jesus, the one big Story transforms us so that we can do kingdom work, not in our own strength, but with the strength that comes from Christ Jesus. When we enter into the Story we are in fact committing ourselves, at His invitation and direction, to share and live-out the Story through the course of our lives. 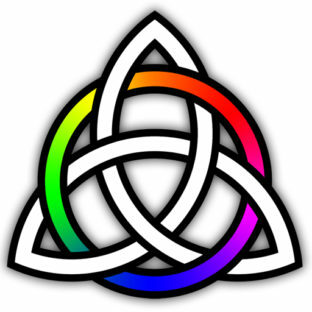 Categories: Interaction | Tags: Bible as Story, Story | Permalink.